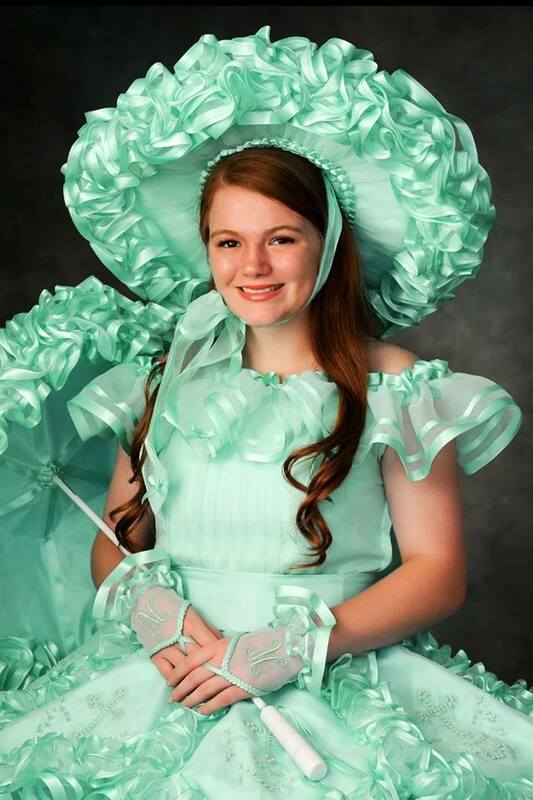 Madilyn Robertson, daughter of Steve and Kelli Robertson, is a green Mobile Azalea Trail Maid at Satsuma High School. Extracurricular activities include: Oakleigh Belle Leadership Program, Varsity Softball, Varsity volleyball, Mu Alpha Theta, National Honor Society, SR Tri Hi Y, Project Outreach, Kindergarten classroom volunteer, McKemie Place shelter for homeless women volunteer. Honors and awards include: Honor student, A honor roll, Dual Enrollment / University of Mobile early college student, All-County Softball recognition, All-Region honorable mention softball, All-State honorable mention softball, North/South All Star softball team, English scholar award, Hugh O’Brian Youth Leadership Ambassador. Madilyn plans to attend the University of Mobile on an athletic scholarship for softball where she will pursue an undergraduate degree in pre-pharmacy. Upon completion of her undergraduate degree she hopes to attend Auburn University to pursue a Doctor of Pharmacy.